More and more companies understand the importance of including videos in presenting their products and services. 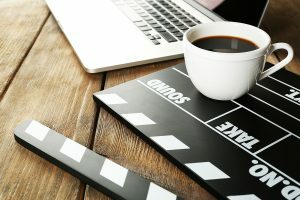 Embedding videos onto the company’s websites, as well as uploading them to social media, have become a common practice, and more and more companies jumped the bandwagon as they understand the importance of videos inclusion to present their products and services. What some don’t get is that any good video, even a short video, requires a good script. For without one, a video will fail to engage its audience. So, let’s look at some tips for effective scriptwriting. Point to the Problems, and Your Company as the Problem-solver.Engage the audience early on the video by addressing their major problems. Talking about an issue and how your company is the ideal agent to solve it can resonate with audience on a personal level. In the script, be sure to combine narration and visual presentation to do this. Keep them balanced. Who? What? Why?Include the speaking parts where the video explains who the people behind the company are, what your company does, and why your company is different from the competitors. Even a big and established company needs to do this; don’t assume that everyone knows every solution your company provides. But, again keep the speaking parts balanced with other aspects of the video, i.e. visual and soundtracks. “Say that in English, please.”Drop the technical jargons. Leave the terms those your field can’t understand for people inside the industry. Write using simple language without sacrificing intelligent tones and content. Remember that the video wants to inform, so when writing the script use, insert a bulk of information but with words that they do know, otherwise they’ll just be confused. “Our OKX-11 highspeed digitization congruent data conveyance system is the latest in our banking services with data transfer capability being one of the fastest in the industry. We’re talking about no less than one quadrillion bit per second—meaning if you want to transfer money from Jakarta to your loved one who is studying in the Switzerland, less than a minute is what is required for the station in the Switzerland to receive the transfer order.” Guess how much information the audience is able to absorb from such a narration, or whether what they will be interested in more: the visual or the spoken information. Give Stage Directions. A good script, which comes complete with cues related to how the scene should be shot and how the actors should act and deliver their lines, helps the production greatly. Usually we’d use square brackets, e.g. [Sadly], [walking toward the camera; eye on camera], [camera pan/zoom], [laughing nervously], etc. Even though during the production process, things may happen that require the production team to do a little improvisation, still provide cues in the script, as they are what we believe to be the proper way of presenting the scene when we wrote it. Show, Don’t Tell. As mentioned in the previous tips: Keep them balanced. Or, better yet: Show more, talk less. For, video shines as medium due to its power to provide visual and audio exposure to its audience. Of course, it is sometimes necessary to have a Narrator explain what your message is. But, letting audience gets the message via contexts can often be more satisfying for them, and, usually, make it more memorable. Never Hesitate to Hire a Professional Writer. Writing anything takes time. Investing on a professional writer helps you focus more on what you should be doing: Running the company and making profit. So, don’t hesitate to go for a good professional writer to ensure that you achieve optimum result with your video campaign.